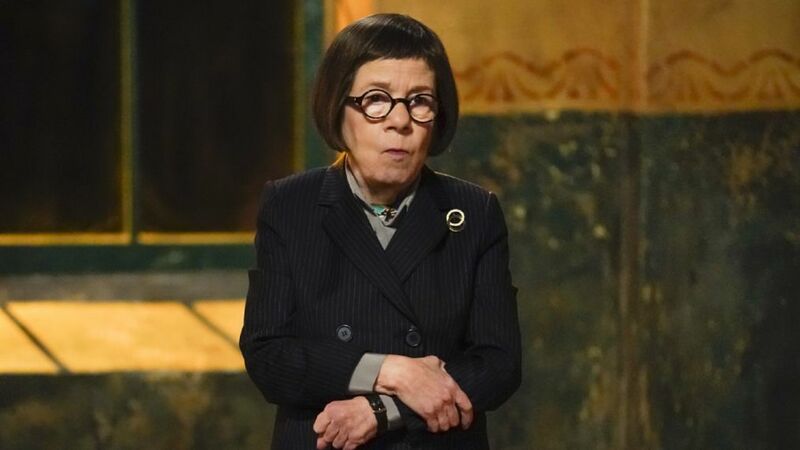 Fans of NCIS: Los Angeles rode an emotional rollercoaster in Season 9 when boss Hetty Lange (Linda Hunt) was kidnapped, only to be saved by her team later in the season. After her extended time in Vietnam, Hetty's presence in the series is what fans are craving. Thankfully, she was rescued in the March episode "Goodbye, Vietnam," which meant that she wasn't likely to go anywhere anytime soon — at least, not somewhere where she'd be in danger. Expect to see her return later this season. But then last season ended on an even more dangerous note when an off-books Mexico operation left four of the show's main crew — Callen (Chris O'Donnell), Sam (LL Cool J), Deeks (Eric Christian Olsen), and Kensi (Daniela Ruah) — at risk after a missile struck their vehicle. Since the Season 10 premiere, they returned relatively unscathed, Mosley (Nia Long) pretty much went rogue, and Hetty's been noticeably absent. After everything the team has gone through, it would have seemed appropriate for Hetty to there as support but she's been MIA. And there is a reason for star Linda Hunt's absence, which she revealed recently. In a statement in November, Hunt explained she'd been in a car accident over the summer and addressed the fan concern. "I first want to say how much I appreciate the outpouring of support from the NCIS: Los Angeles fans following my car accident this summer," she said, adding, "Though I had hoped to return to playing Hetty at the start of the season, I had to take some additional time to recover. I look forward to returning later this season." As unfortunate as it is to not have Hetty with her crew, it's good to hear the actress is on the mend and that much closer to returning. And fans should expect nothing less from the resilient Hunt. Prior to her rescue episode in March, Eric Christian Olsen spoke about the mission to save Hetty, and why it meant so much to the cast. "There’s always this romanticized version of what we want to do 'after work,' but her work is so deeply embedded and ingrained in who she is that this is her," he told TV Line of Hunt's character. "She’s going to do this — hopefully forever. And I say that not only as a character but as an actor on the show. Everything is better with Linda Hunt, and everything is better with Hetty Lange."